On Tuesday, February 21st I had the opportunity to see the world-famous Budweiser Clydesdales up close and personal. 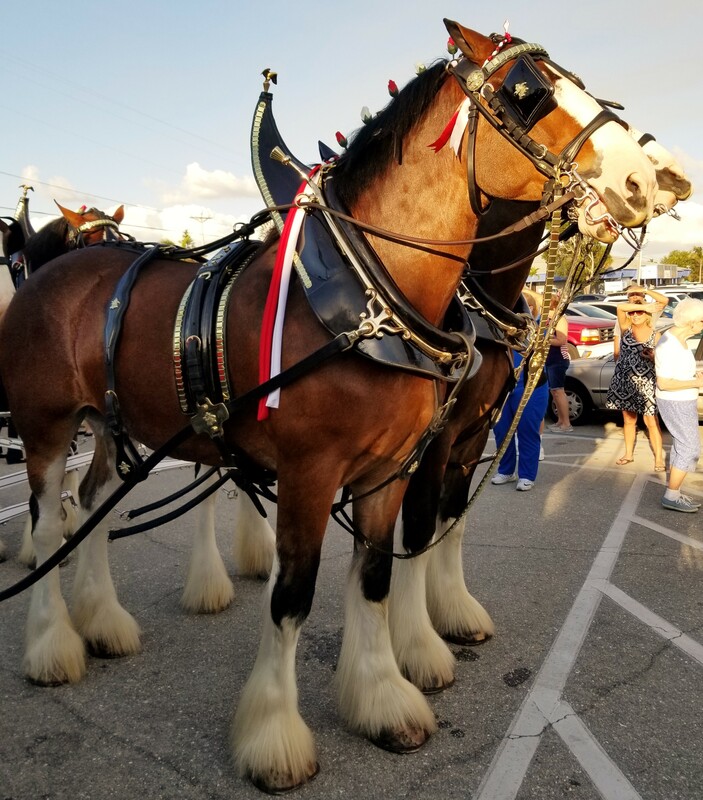 Appearing at various locations throughout Southwest Florida, this gorgeous team of horses made a stop in Cape Coral. Quite the crowd gathered at Club Square to see the 8-horse hitch pulling the colorful red Budweiser beer wagon, and nobody was disappointed. The hitch made its way around the perimeter of Club Square, stopping at multiple locations so that everyone was afforded a good vantage point. 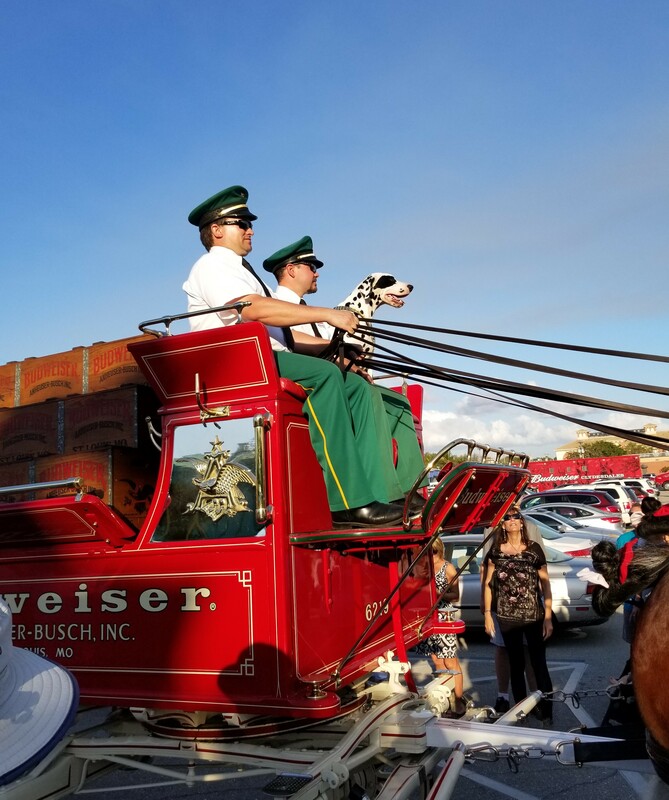 The Clydsedales faithful companion Barley, the dalmation accompanied the hitch atop the wagon. These horses are truly impressive in person and I'd highly recommend you see them for yourselves if you have the chance. My afternoon was topped off with a nice meal at Big Blue Brewing, who was one of the sponsors of the event. The sun was shining, the sky was blue - it was another perfect day to be in Cape Coral! There's always something fun to do in Cape Coral! Looking to move to or build a home in Cape Coral? Contact us to learn more about the Cape Coral area and available listings Let us help you find your dream home! 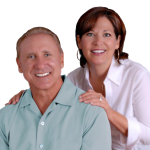 To search properties in Cape Coral, contact us here or call 239-357-6118.